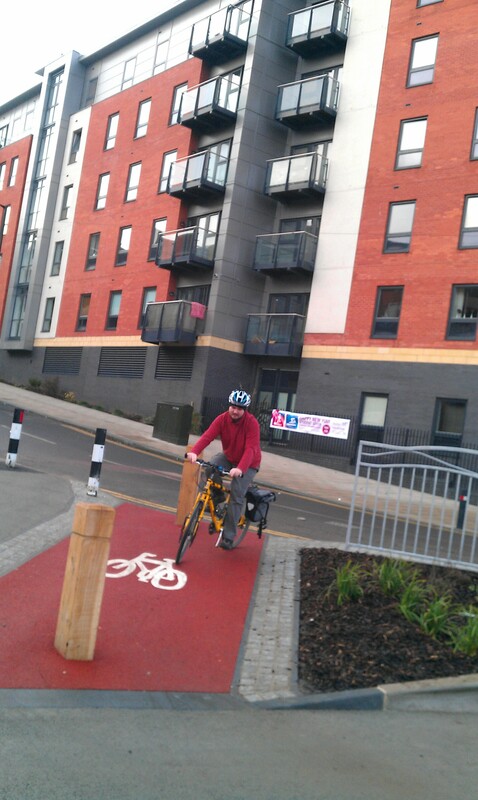 Sheffield City Council has in the past given cyclists assurances that they will design new infrastructure for cycling in line with best advice. At a full council meeting on 4th April 2007 the following motion was passed. x) requiring the design of cycle routes and facilities to be in accordance with advice and recommendations contained within the Draft Local Transport Plan. Action Point 10: The starting point for the design of cycle routes and facilities will be the advice contained in Draft Local Transport Note 1/04, in particular the hierarchy of measures. 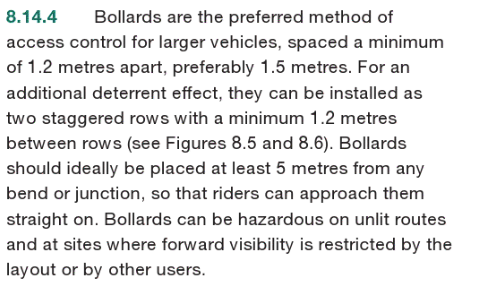 6.22 Design of new cycle infrastructure will adhere to best practice design guidance including governments LTN2/08 note (particularly the Hierarchy of Solutions) and Manual for Streets. 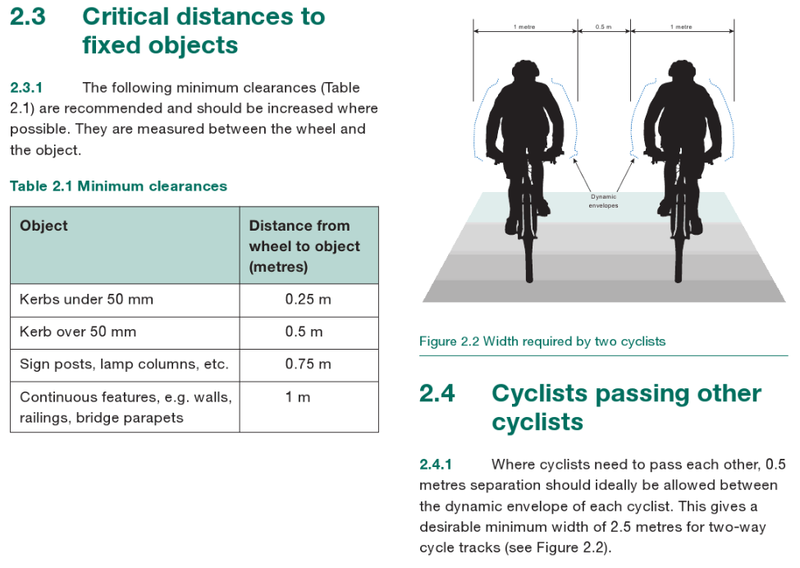 So, what does LTN2/08 say about clearance required for cyclists? 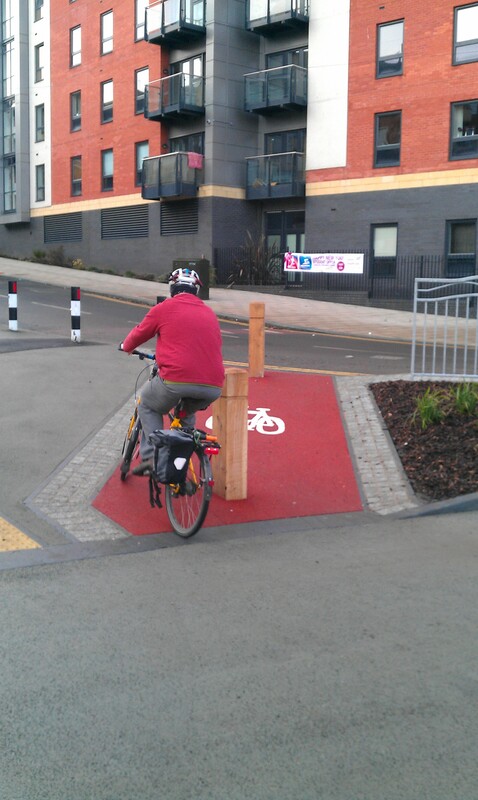 Are Sheffield Council standing by their commitment and designing new cycle infrastructure to best practice? I don’t think so. 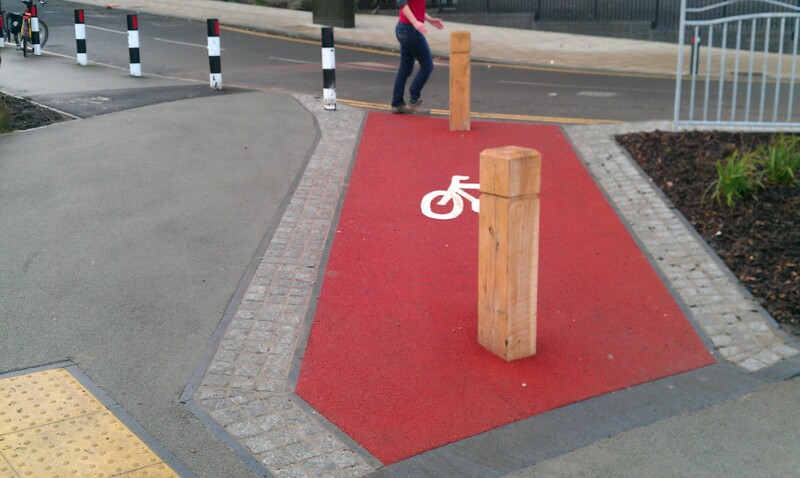 This is a newly designed/installed cycle lane across a closed road as part of a redevelopment project. A very good idea but very poorly implemented. 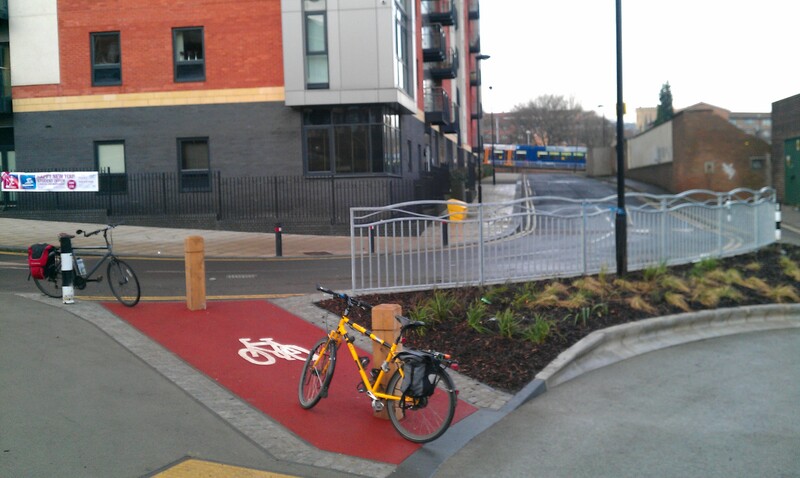 Look at the photo’s below, why is the cycle path so narrow!? There is so much unused space in the flower beds, this used to be a road! 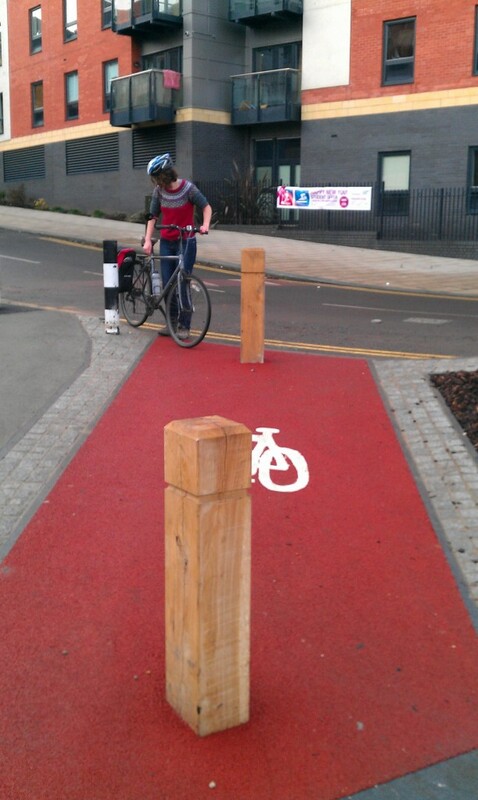 There is plenty of room to give cyclists something that meets standards of good practice. This entry was posted in infrastructure, Uncategorized on January 7, 2013 by Matt.